The history of Jamaica flags resembles that of many other British colonies that gained their independence after the second world war. 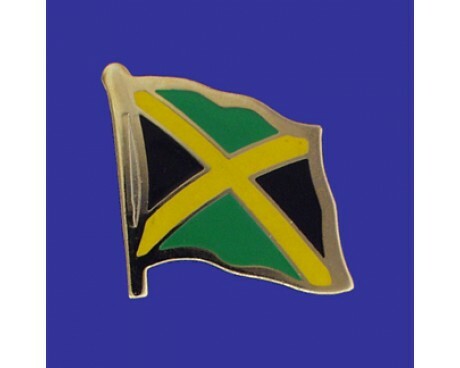 The flag's design was chosen through a competition to find the flag that best represented the Jamaican people, which resulted in a flag that accurately captured the spirit of the nation. 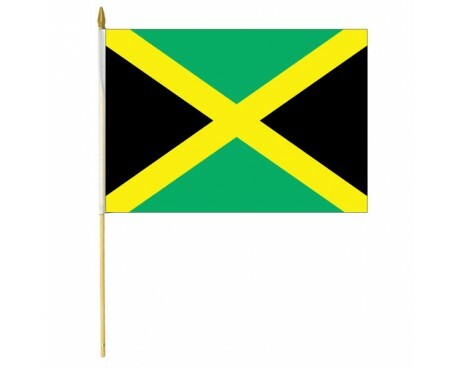 Jamaica flags display a gold saltire cross that divides the flag into four sections. 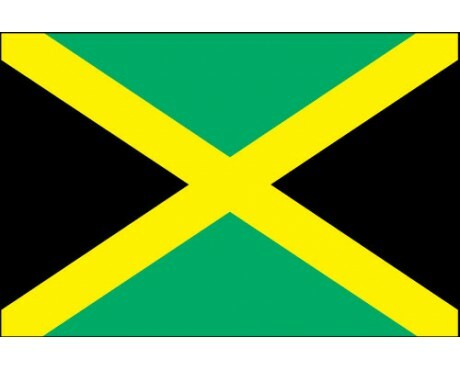 The top and bottom sections are green, which represents that natural bounty that the Jamaican land offers to its people. The left and right sections are black, which represents the hardships that the people have surmounted over the course of the country's history. The gold of the cross represents the bright sunlight that blankets Jamaica. The colors are also the colors of the Pan-African flag, which subtly represents the origins of most of the Jamaican population. The use of a saltire cross represents the other portion of the country's ethnic heritage because it is a common symbol of Scotland, which provided many of the nation's early colonists. 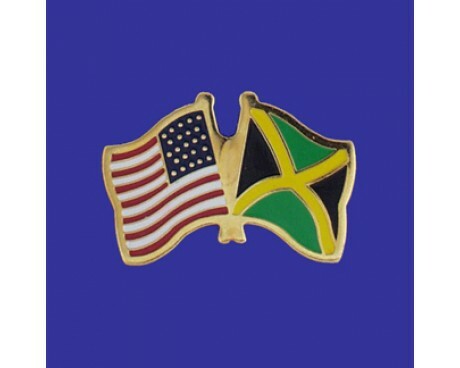 The nation of Jamaica began as a British colony, and that colony was represented with a flag that followed the same pattern as those of other colonies. It was a British blue ensign with the Union Jack displayed in the canton and the Jamaican coat of arms displayed in the field. The coat of arms included the Saint George's Cross, which represents its British heritage, as well as five pineapples and an alligator, which represent Jamaica's natural assets. That flag was used between 1875 and 1906, when the coat of arms to include a pair of native Bermudans supporting the coat of arms, to better represent the indigenous population. The details of the coat of arms changed again in 1957, but the fundamental design remained similar. A slight variation on the colonial flag is still used as the country's naval ensign. Jamaica adopted its modern flag on August 6, 1962, which was the same day that it became independent of the British Empire. The government chose the design through a national competition, although it changed the winning entry slightly to prevent it from bearing too strong a resemblance to the Tanganyikan flag. The original design did not include the saltire cross.